In these four and a half minute broadcasts, Smilin' Ed McConnell comes to housewives under the sponsorship of Aladdin Lamps. Sandwiched in between some fun entertainment, the advertiser's message will leave you longing for an Aladdin Lamp. There is no doubt of his target audience with his "Hello Honey Gal" intro. He then woos our Domestic Heroine with a "a song you don't hear everyday" before launching into his Lamp pitch. Smilin' Ed is accompanied by an organ and piano played by Irma Allen and Del Owen. It seems a little curious that a company which is the leader in non-electric lighting would spend so much on Radio advertising. Radios require electricity, and if the home has electricity for radio, then they will have cheaper and easier to use electric lighting. 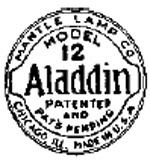 Smilin' Ed does make a pitch for Aladdin Electric Lamps in some of the spots. 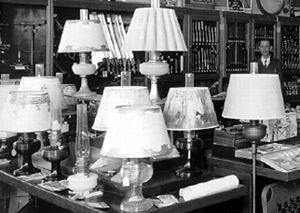 He encourages housewives to come down to "our store" to see the functional and decorative lighting options, which indicates that the short shows were recorded for syndication, to be sold to individual hardware stores to play on local radio. After the pitch, Ed treats us to a hymn and a friendly closing. Smilin' Ed McConnell would later star as the pitchman for Buster Brown Shoes on Smilin' Ed's Buster Brown Shoe Gang. The kids show would feature several fun characters, such as Froggy the Gremlin and his magic Twanger. But the big draw to both Buster Brown and Aladdin Lamp would by Smilin' Ed himself. His friendly baritone and folksy charm were a hit with audiences. Variety would write that "McConnell is probably the most humble man in America, making $100,000 or better, a year." 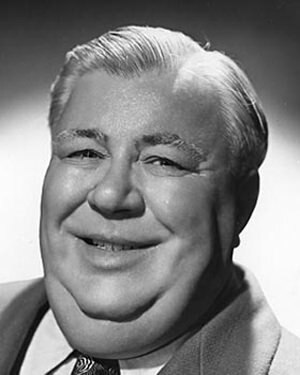 Smilin' Ed is honored with a Star on the Hollywood Walk of Fame on the South side of Hollywood Blvd in the 6600 block. I just want to say how much I appreciate your web site and the service you provide to the world at large. You are keeping the Golden Age of Radio alive. If you every decide that you are going to retire and give up your business, then let me know as I would hate to see all your hard work and all these wonderful radio plays disappear and not be available to future generations.